Yuki and Hiro booked me to capture their maternity and newborn pictures in Geneva. 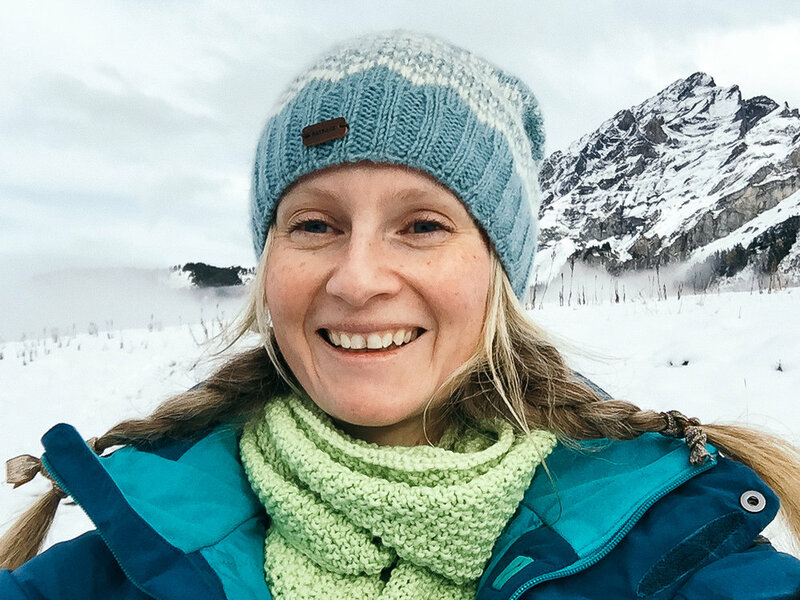 As they were a long way from family, they wanted to be able to share the birth of their first child with their friends and relatives. 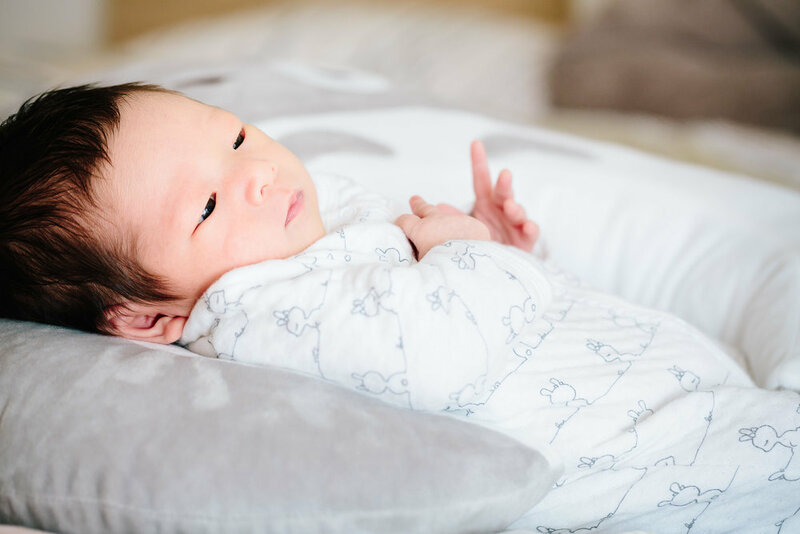 It was important to capture some real moments for their newborn session so we concentrated on the little everyday things. Having just moved into their home I worked around the boxes and made use of simple props to tell the story of their first few days as parents. Yuki chose a two shoot collections with digital downloads so that she could send images to her family and start to decorate their home. It was a cold and rainy late autumn day in Geneva but Yuki and Hiro had a warm welcome. They were anxious about not having finished unpacking after their recent move, so we spent a little bit of time going around the apartment and selecting areas to take pictures. With just a few minor tidy ups we were able to set the stage for some natural photographs. We started off in the living room, creating a simple but natural space for a few traditional family shots before moving onto interactions. I love to capture real moments between a parent and their baby, especially with newborns where everything is still a discovery. One of my favourite shots is the look on the baby’s face as their mother or father talks to them. I think this is so much more special than posed images with lots of props. As mum moved into the bedroom to feed, I took some delicate portraits of the two of them. Staying at a distance and using natural light allows me to capture this moment creatively. It is something that new mums spend so much time doing, I think it is important to capture some of the tenderness. Hiro joined us in the bedroom and we made sure to capture images of each of them with Misaki and spending time together as a family. For little Misaki’s portraits, we just laid her on the bed in a blanket and then Yuki stood behind me talking softly. To introduce some variety we also used her wonderful Totoro feeding pillow, giving just a touch of personality to the subtle colours and surroundings. For our last few photos I made sure to capture some of grandma. Often grandparents don’t want to feel as if they are intruding or in the way but I think it is essential to get a few photographs. Yuki’s mum had travelled from Japan to meet her granddaughter and it was lovely to see how smitten she was already. 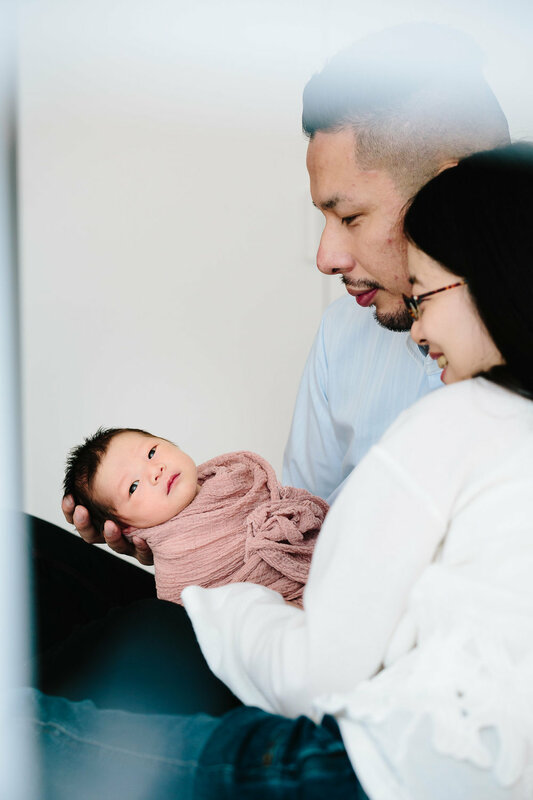 For Misaki’s newborn session we concentrated on capturing natural, simple moments between the family. 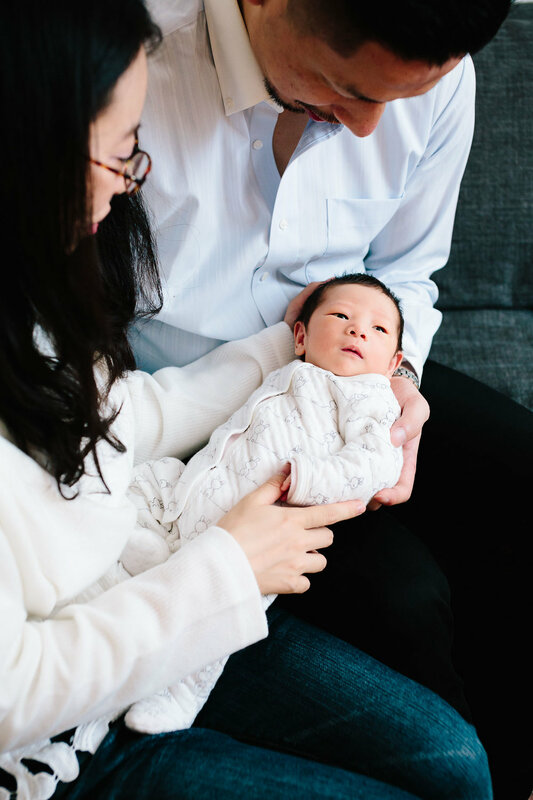 By encouraging the couple to interact normally with their new baby, I was able to help them forget about the camera and the photoshoot. I chat away or stand at a distance to help these real moments unfold, adapting what I do to the parents and baby. 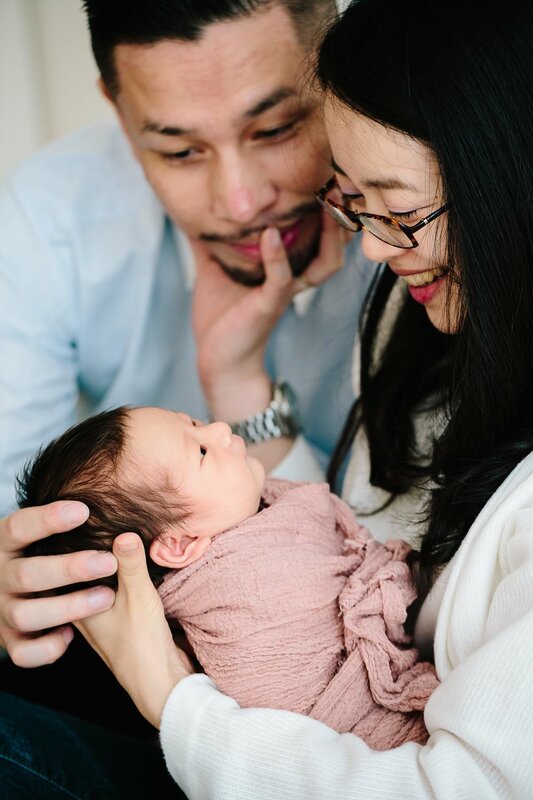 Newborn sessions can take up to four hours, but I always find that babies are happiest in their parent’s arms and it’s these pictures that are always the most popular and the most beautiful. 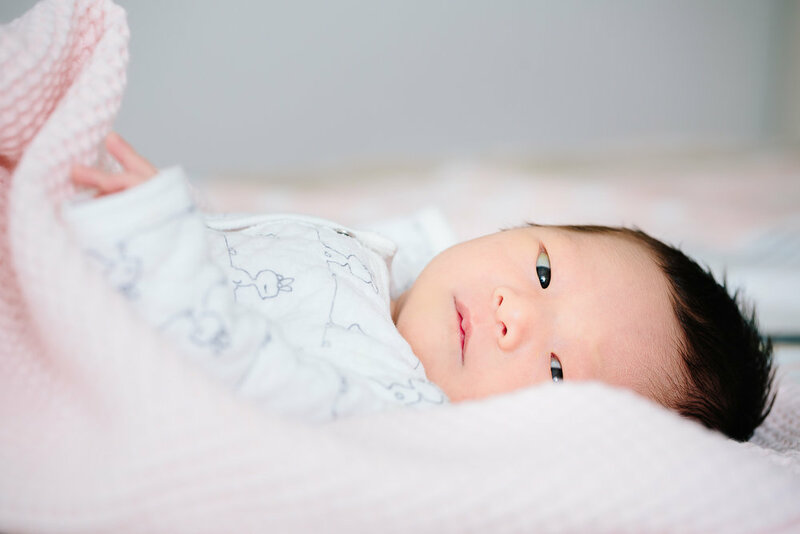 For newborn and baby’s first year photography in Switzerland I offer a wide range of different photography collections. With a choice of albums, canvases, prints, cards downloadable high resolution files there is a personal way of you to remember these special moment. If you would like to book a baby photo shoot, please get in touch for collection pricing and availability.